St. Paul put his money where his mouth was. When a famine struck Jerusalem, Paul led the entire Gentile mission to take up a collection for starving Christians as a corporate, churchly act. He saw the sharing of one’s possessions with the needy in the Body of Christ as a tangible demonstration of unity and love in the Church. Knowledge of this great collection is vital for anyone who desires to get something real done in the Church on behalf of Christ. 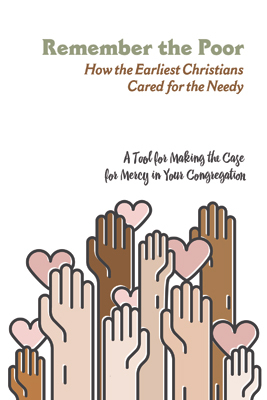 As we, the Body of Christ, seek to attend to both the physical and spiritual needs of our brothers and sisters, we do well to model our giving after the example of those who have gone before us in the faith. This applicable book with in-depth study questions would serve any church well as a congregational study as they seek to care for the needy in their community.